2018-08-08 01:12:242018-08-08 01:12:24https://quickbooks.intuit.com/in/resources/finance-and-accounting-profit-and-loss/what-is-income-statement/Finance and Accounting: Profit and LossEnglishIncome statement represents the earning activities of a business. An income statement is prepared to know the results of all the business...https://quickbooks.intuit.com/in/resources/in_qrc/uploads/2018/08/4545.jpeghttps://quickbooks.intuit.com/in/resources/finance-and-accounting-profit-and-loss/what-is-income-statement/What Is Income Statement? Business operations are carried out during a particular period of time. So, as a business owner, you need to know the outcome of all these activities. Accordingly, you need to prepare a flow report called income statement. Income Statement reports the financial performance of your business during a specific period of time. 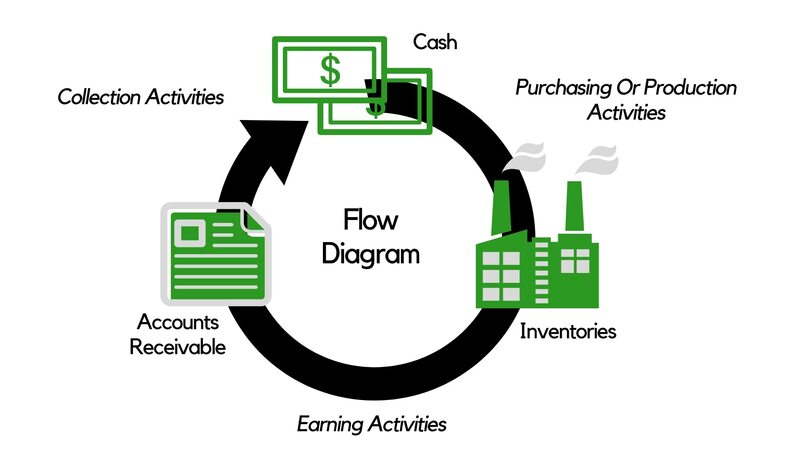 Cash flow statement is another flow report that summarizes the cash transactions specifically. Another way to view your business entity is to know its position at a given point of time. To achieve that, you need to prepare a stock report called balance sheet. Balance Sheet demonstrates your entity’s financial position at a specific point in time. It is one among the basic financial statements that indicates the financial position of your entity at a specific point in time. Income statement represents the earning activities of your business. It describes your entity’s outcome of all revenue-generating activities. This statement comprises of two segments. One of the segments depicts the inflows resulting from sale of goods and services to consumers. The inflows are nothing but the assets created as a result of generating revenues for your business. Such assets include cash or accounts receivable. The other segment states the outflow of resources utilized to generate sales. Such outflows are termed as expenses. The net excess of all the revenues over expenses is the net income of your business during an accounting period. b) the reasons for it’s profitability or losses thereof. Before going further, we first need to look at some basic accounting principles. These principles will help you understand the income statement of a wholly-run business like yours. According to this concept, your business has to measure all its activities for a specified interval of time. This specified time interval is termed as accounting period. Accounting periods divide the continuous stream of your business activities into different time intervals. Thus, all the stakeholders get a clear picture of how things are going on at different time periods. This is based on the old adage that says “Anticipate No Profits But Anticipate Losses”. This means that you should preferably understate your net income and assets. Recognize revenues when they are reasonably certain. And recognize expenses as soon as they are reasonably possible. The conservatism concept highlights the period when revenues should be recognized. But the realization concept demonstrates the amount of revenues to be recognized out of a given sale. Accordingly, the amounts your customers are reasonably certain to pay should be recognized as revenues. Sales that would eventually become bad debts should be treated as an expense. And hence reduce the total revenues. This concept states that events affecting both your revenues and expenses should be recognized in the same accounting period. Such an approach allows you to measure the impact of your sales on retained earnings. According to this concept, use the same accounting method for all the subsequent occurrences of the same character. Unless you find sound reasons to use or switch to other methods. Materiality concept states that trivial events having an insignificant impact on the books of accounts can be ignored. To decide whether an event is material or immaterial, you can use sound judgement. 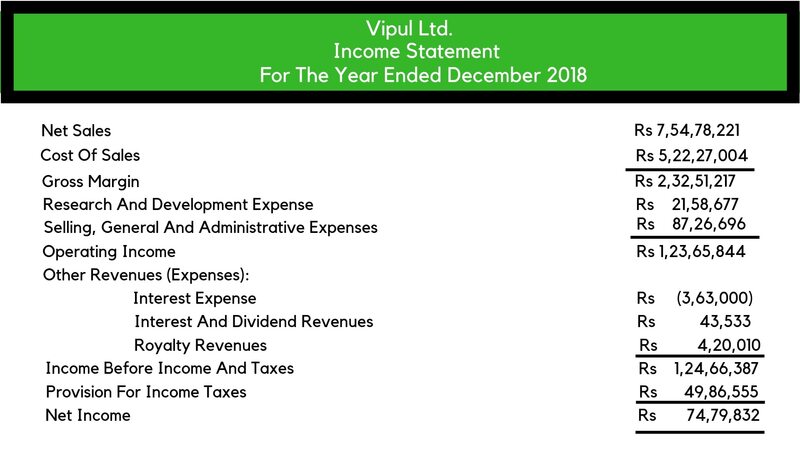 Here’s a simple format of the Income Statement. The Income Statement begins with Gross Sales. These are the invoice value of goods and services delivered to your customers during an accounting period. Gross Sales do not include any taxes such as sales tax and excise tax or freight and postage. The next head is ‘Sales Returns’. These are the sale value of goods and services returned by your customers. Allowances made to customers due to goods being defective or for some other reason also come under sales returns . After Sales Returns, the next item on your income statement is ‘Sales Discount’. These are the discounts your customers avail for making spontaneous payments. Net Sales are nothing but sales after deducting Sales Returns and Sales Discount from Gross Sales. The next head in the income statement is ‘Cost of Sales’. These are the cost of goods and services you sell during an accounting period. Cost of sales are associated with the assets that are consumed in generating sales for the current period. Consequently, the net of Net Sales and Cost of Sales is the Gross Margin of an entity. It is the difference between revenues generated from selling goods and the costs related with producing such goods. The next item on the income statement is ‘Research and Development Expenses’. You need to disclose this separately in the income statement as per the statutory requirements. ‘Operating income‘ is the balance after deducting Research and Selling & Administrative Expenses from Gross Margin. Now, the next item in the Income Statement is the Income of the firm. To calculate the same, you add ‘Other Revenues’ to your operating income. Such revenues are earned from the activities not associated with the business . Other Revenues include Interest and dividend earned on marketable securities. Finally, the Net Income is arrived at after deducting income taxes to be paid to the government. There exists a definitive relationship between income statement and balance sheet. This is because the net income in the income statement explains the change in retained earnings in the balance sheet. Furthermore, income statement summarizes the net income of your business for a specific period. And with accounting software such as QuickBooks, you can easily generate accurate income statements for your business.